There are so many thermal paste brands in the market, each that claims the superiority over all other brands. And honestly speaking, testing each thermal paste is not an easy work at all, and we don’t have enough resources to conduct such a test. So what we have made instead is that we thoroughly researched this matter, and spent hours reading IT professionals’ experiments on their websites and on forums and blogs, until we were able to break down the whole subject into a list that gathers the best 5 thermal pastes in the market, as you can see below. For more details on our research and to learn more about thermal pastes in general and their major aspects, you can continue reading the article until the end. As you can notice from the below list, we placed Thermal Grizzly Conductonaut on the top position of our list as the best CPU thermal paste in terms of performance. But, in terms of overall features, Thermal Grizzly Kryonaut is ultimately the best. How Did We Make the Recommendations? In order to make a fair judgement on the performance of a particular thermal paste, it must be tested in different environments and conditions. A thermal paste working just fine with one cooler may be a bad fit for another. Therefore, and to get the most precise final judgement, each thermal paste must be tested on on AMD and Intel CPUs with a water cooler, a premium air cooler with high mounting pressure, as well as a more pedestrian push-pin setup, which stands in for the boxed heat sinks you get bundled with most processors. This methodology of comprehensive testing is usually beyond the capability of amateurs, or even professionals with limited resources who can only test a thermal paste on their personal computers. For this major reason we don’t give high credits to the results they obtained and published on forums or blogs. Additionally, we conceive that our own lab experiment results won’t add any considerable value to the particular tested paste due to the limitation of our resources first, and the very long time the nature of this sort of testing requires. Therefore we have decided to follow a better plan on finding the best CPU thermal paste on the market—to fulfill a deep research on this subject, by reading the reviews published by prominent IT professionals on their official websites, and find out which thermal pastes they deem the best or top-notch, and we lay them out in a unique list in the descending order, starting from the top winner. Note that only the top two winners in the list are selected according to this method, and the rest are picked based on our opinion. We also didn’t forget to include the testimonials of these IT Professionals in the Quick Review section below the top 2 winners. So make sure to read that section before you make any decision. But before going to our list, let’s discuss one important point about liquid metal pastes and why we don’t recommend them. Hard to apply that needs good skills to do it correctly, and any mistake in application can be a disaster due to their high electrical conductivity that can cause electrical shocks within the micro circuits on the motherboard if applied incorrectly. Not compatible with aluminum coolers, so you are stuck to copper or nickel. Very difficult to clean/remove once dries out. Is liquid metal paste right for you? If you want to know if liquid metal solution is worth its high price and the risk it comes with, the best we can do is to answer with a non-committal maybe. Enthusiasts requiring an expensive, hard-to-apply thermal compound to lower Tcase by 2 or 3 degrees Kelvin (which could mean as much as 5 degrees Tcore) might want to consider their build goals. According to our experience and the reviews we read, we can state with some confidence that the supposed improvements of 5 to 7 Kelvin Tcase are overoptimistic. If you see that big of a gain, it’s because you weren’t doing something right with the paste you were using before. In fact, very low temperature isn’t of any additional advantage here, because the CPU just needs a relevant low temperature degree to run at its utmost capacity in terms of speed and efficiency. So, logically, if the degree goes lower, the CPU simply cannot exceed its power limits and won’t offer any additional performance points. Asked whether the 1.5 °C ΔT, which the Liquid Ultra holds over Gelid’s GC-Extreme with a closed-loop cooler, or the 2.7 °C ΔT, which it does in the boxed cooler test, are worth extra effort and cost, my personal answer is no. But of course, some enthusiasts swear by the liquid metal. Most folks don’t need the stuff; it’s really for the overclockers functioning at the very top of their game. But anyway, there are still people who don’t mind using a liquid metal thermal paste as long as it offers the maximum possible performance. So here’s our recommendation for this type of users is: Thermal Grizzly Conductonaut, which is currently the absolute best cpu thermal paste in history in terms of performance without considering other features! Just a final note here. In August 2015, a new high performance thermal paste was released and reported to be little better than what was deemed the best thermal paste for years (i.e. Gelid Solutions GC-Extreme). Thermal Grizzly Kryonaut is now assumed to be the winner in the performance competition, but the performance improvement you’ll acquire compared to GC-Extreme is barely notable. For this reason we confidently say that whether you pick Thermal Grizzly Kryonaut or Gelid Solution GC-Extreme, then rest-assured that you have made the right choice. Also bear in mind that the testimonials of IT Professionals on Gelid Solution GC-Extreme were said long time ago before the emergence of Thermal Grizzly Kryonaut. Here are the recommended thermal pastes laid out in a special box for each that contains a short and quick-to-read review to help you get an overview of the paste that you want to obtain. In terms of performance, this thermal paste is the best ever in history! And comparing it with the best normal thermal paste in our list, the difference between the two is almost 3 degrees during workload, and up to 8 degrees during idle time. Remember, if you are not well-experienced enough with liquid metal pastes, you better avoid this one and go for the second item in our list. The performance gain with this thermal paste is not too big, and for the overwhelming majority of users, including enthusiasts, a normal thermal paste is pretty sufficient. Official Description: High efficiency paste with excellent thermal conductivity, recommended for experienced users and systems where thermal conductivity is critical. Delivered in easy-to-apply syringe with 1.0g paste. Thermal Conductivity of this product is 73 W/mk and thermal resistance of 0.0021 K/W. Official Description: Thermal Grizzly Kryonaut Thermal Paste was specially developed for extremely demanding applications and the most demanding of Overlocking community. Kryonaut also recommended as a top product for critical cooling systems for industrial use. Kryonaut uses a special support structure, with no drying processes and starts at 80 ° C. This support structure ensures that the contained nano-aluminum and tin oxide portions of the paste combine perfectly and so any unevenness of the heat output (eg the CPU) and a heat sink are optimally compensated with outstanding thermal conductivity. After almost 6 years in lead of the market, GC-Extreme lost the battle against the new Kryonaut from Thermal Grizzly (talking about conventional paste)… Thermal Grizzly Kryonaut is the best normal paste on the market at the moment. Thermal Grizzly is going up against some very tough competition, as there are a huge range of thermal pastes on the market to choose from and some of them have been proven and established for many years. Gelid GC Extreme is a popular choice for overclockers around the world, and we here at eTeknix have been using it for years in all our cooling tests, on our test benches and even in our own personal systems. I am happy to say that Grizzly is just that little bit better than GC Extreme, not so much so that I would feel compelled to take my cooler off and change my thermal paste, but close enough that you would find it’s a good alternative to GC Extreme. GELID Solutions might not be as aggressive as other brands in terms of marketing, but there isn’t a senior enthusiasts that doesn’t knows the name GELID Solutions especially when it comes to PC cooling. Created for Extreme Users on highest level the GC-Extreme thermal compound achieves excellent heat conductivity from your CPU, VGA or even Chipset to your cooler. 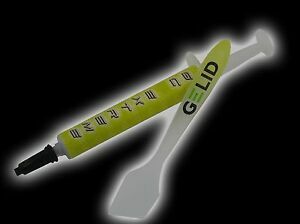 The GELID applicator enables an easier application. The GC-Extreme has a very consistent performance comes a little more expensive than ordinary pastes, but still a worthy thermal compound to investment in if you’re looking for a good thermal compound with a solid performance. GELID Solution’s latest submission trumps everything I have tested so far. Why would you need to look further than GC-Extreme, the cutting edge compound? GC-Extreme is the best thermal paste in our round-up, maintaining a slim lead over the runner-up as long as you’re using a heat sink with high mounting pressure. Taking a massive 18 degrees Celsius off the normal paste that comes with your Intel processor, and outperforming all of it’s competition, the GC-Extreme is what you’re looking for if you want the highest performing grease in the market. Being paired with the GELID applicator (an innovative, flexible piece of plastic), you should not have to look any further than GELID Solutions GC-Extreme when shopping for some new thermal compound. I have used GELID Solutions GC-Extreme for the MSI Master Overclocking Arena EMEA Final. It workes very well with subzero temperatures and led us to win! GELID’s GC-Extreme thermal compound is a clear winner, as it provides lower temperatures for the same price. It is clear that GELID Solutions keeps getting better and better in this game, and GC-Extreme is a clear proof of that. 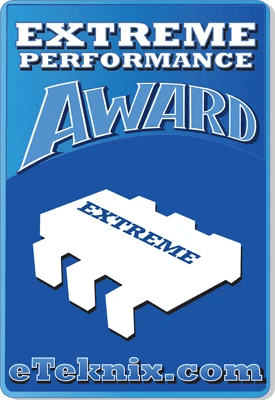 If you take the MSRP of $9.99 into consideration, GC-Extreme has a clear advantage over the competition and it clearly deserves our Recommended Award. Like two hot lovers, a heatsink and the processor want to make full contact. But microscopic imperfections in their craftsmanship create small gap for air. These gaps act as thermal insulators, inhibiting the transfer of thermal energy from your components. PK-3 thermal compound is made up of specially designed nano particles, engineered to correct these imperfections. The nano particles work by filling in the small air gaps and allowing for peak transfer of heat away from your components. Superb performace, maximizing the heat trasfer between the heatsink and processor. Excellent long term stability with low dry-out. High thermal conductivity with low thermal impedance. Non-corrosive and electrically non-conductive. No burn-in time required. One 5 gram syringe and easy-to-spread applicator. Official Description: ARCTIC MX-4 High-Viscosity Thermal Compound has the distinctive characteristics of being non-capacitive, non-electricity-conductive, non-corrosive and non-bleeding. This makes ARCTIC MX-4 much safer and easier to use around sensitive and delicate applications involving electricity and heat than metal-based thermal compound. Perfectly safe for use around today’s high-performance microprocessors (CPU) and graphic processors (GPU), accidental contacts with electrical pins/traces/leads will NOT cause short-circuits or static shocks compare to metal-based/capacitive thermal compounds. Under normal circumstances, carbon has the highest thermal conductivity of all know materials. ARCTIC MX-4’s carbon micro-particles effectively and efficiently fill up microscopic pores and gaps between contact surfaces for optimum heat transfer. High thermal conductivity and low thermal resistance translate directly into efficient and quick heat dissipation. ARCTIC MX-4 is not only safe and easy to use; it also lasts a long time as well with its amazingly proven 8-year durability. ARCTIC MX-4 is available in 20g high-capacity, easy-to-apply tube that are both cost-effective and practical for frequent and high-volume applications. ARCTIC MX-4 high-viscosity thermal compound is also pre-applied or included with ARCTIC’s award-winning coolers for today’s most powerful desktop/gaming CPU and GPU. Official Description: IC Diamond 7 Carat Thermal Compound maximizes thermal heat transfer between the CPU core and heatsink by taking advantage of diamond’s superior thermal conductivity. Purified synthetic diamond has a thermal conductivity of 2,000-2,500 W/mK compared to 406-429 W/mK for pure silver. Diamond’s five times better thermal conductivity compared to silver makes it a superior heat transfer material for cooling high performance CPUs and is electrically non-conductive and non-capacitive. Each tube of IC Diamond Thermal grease contains 24 carats of micronized diamond with diamond particle loadings @ 94% by weight. Material loading above 90% is recommended as the best combination of rheological and thermal properties to minimize interface pump out due to thermal cycling. You don’t have to read this section if you already know the basics of thermal paste. This section is merely for novices who are totally new to this world. It’s no secret that modern high-end processors have exceeded many limits concerning speed and performance to the extent that they can now handle multiple heavy resource-demanding applications simultaneously instantly without a noticeable performance hit. But that’s not for no cost. Regardless the electrical power consumption, these processors produce big amounts of heat during their data processing times, specifically when these prepared-for-processing data are complex enough to compel the processor to dedicate more-than-usual resources to expend in order to accomplish these tasks, which eventually increases the thermal emission rate. Dissipating this generated heat has been a major concern for both CPU manufacturers and end users. As for the manufacturers, they keep improving the currently-employed electronic circuits to produce less heat, and developing new ones that better achieve this purpose. As for the end-users, the only workaround for this issue they can carry out is to try to use a solid CPU cooling system that helps the CPU maintain a low temperature in spite of how complex the data processing tasks are going to be. Heat management is important to consider when constructing or maintaining your computer. Too much heat can spell death for your sensitive components, and if you’re overclocking it’s even more of an issue. The main structure of the cooling system consists of two major elements: The CPU cooler (also called a heat sink that may come with an air fan and may not) and the thermal paste/compound (also called heat sink paste/compound). Here, in this article, we’ll be discussing thermal pastes and manifesting the most important aspects of which everyone must be aware before obtaining the right thermal paste that suits their needs. Then, in the last section we’ll make a few recommendations of thermal pastes that are regarded as the top-notch and best-selling on the market. In a nutshell, when the CPU processes the data sent to it, its electronic circuits generates heat as a result of this process. The increase of heat that passes the maximum-allowed temperature will have a bad and devastating impact on the CPU itself. The case fan of your computer cannot do much to dissipate the increasing temperature of CPU. Even if it doesn’t exceed its temperature limit, modern processors are programmed to reduce the performance as low as the half of the utmost performance level or even lower, all of that is for the sake of minimizing the generated heat, and this will not please most people. This is more apparent in AMD CPU that generates more heat than other brands. Moreover, if your CPU doesn’t get sufficient coolness, several problems can occur: freezes, random resets, reduction of the CPU lifespan, and even burning the processor in extreme cases. Therefore, if you find yourself fighting a stubbornly-low overclock, there’s a chance that your thermal solution isn’t working as effectively as it should. Everyone has a basic knowledge in physics knows that there is no absolute flat surface on earth. Each surface has its share of microscopic gaps between its atoms and protrusions above the level of the surface. Some call them mountains and valleys. Now when two surfaces are put to touch each other, these gaps and protrusions impede the proper thermal transfer between those two surfaces by causing a large air gap between these two surfaces which becomes like a hurdle in the way of this process to complete. The role of a thermal paste appears here. It simply works to fill those gaps to achieve a better heat conductivity between the two surfaces. If you could have a perfectly flat heatsink base, and CPU, you would not need thermal paste. But it is impossible to do so, and that’s why we need a CPU thermal paste. So, if we go to define a CPU thermal paste we would say that it’s a type of heat transferring agent that serves to fill in the microscopic gaps that naturally occur then two flat metal surfaces—such as your CPU and cooler—are pressed against one another. These air-filled gaps hinder the rate at which the cooler is able to absorb heat from the CPU, and filling them with thermal material greatly increases performance. If your processor is running very hot or your computer or laptop shuts down automatically due to overheating. If you want to extend the life of CPU. If you are a gamer then this is highly recommended for your CPU and GPU to protect them from overheating and even burning. It can be used with Intel and AMD processors without any problem. If you haven’t upgraded the thermal paste for years. If you are using a laptop or notebook whose processor and GPU heats up very much. Notebook CPUs and GPUs are more prone to overheating, a high-end thermal paste can reduce this problem. Or you can visit our article: How to Properly Apply a Thermal Paste to Your CPU. Note that you better use a plastic spreader to minimize the thickness of thermal paste layer to the lowest level. This helps for a better heat conduction between the two surfaces and will get your cooling system optimized to high standards. The thermal conductivity of the thermal interface material is actually much poorer than the metals they couple. When applying a thermal compound, it would be in your best interest to use no more than necessary when trying to fill air gaps. The paste must be thin enough that it doesn’t inhibit thermal contact between the heatsink and CPU, but thick enough to ensure that the heatsink and CPU are in adequate contact with one another. A large amount of CPU thermal paste separating the metal surfaces will only further degrade conductivity. If you do that all right, the CPU cooling system will have a very efficient thermal management, especially if you use air cooling system. Arctic silver 5 has been the best CPU thermal paste for years, but the game changed in 2009 when Gelid Solutions GC-Extreme was first released and won the competition. Now, after 6 years there are new two winners in this rivalry. With the highest thermal conductivity of 73 W/mk, this liquid metal thermal paste tops our list in terms of performance (not overall features). Pros: Most highly-efficient thermal paste on the market. Cons: Expensive compared to other pastes, and somewhat difficult to apply. This is the second best thermal paste as of today in terms of performance, and the best ever in terms of overall features. It’s a conventional paste with 12.5 W/mk thermal conductivity. The performance gap between this paste and the above is around 3 degrees only. Pros:The best normal thermal paste on the market as of today. Cons: As a normal thermal paste, it’s expensive compared to others from the same category. GC-Extreme thermal paste has been for so long the best thermal paste on the market, and the most favorable to enthusiasts. Although many are still preferring it, it has lost its rank in favor of T.G. Kryonaut. This is a conventional paste with a thermal conductivity of 8.5 W/mK. Prolimatech PK3 Nano Aluminum is one of the highest performing thermal compounds in the industry. It’s a conventional paste and boasts a 11.2 W/mk thermal conductivity with a competitive price. It’s a good choice for enthusiasts as well. Pros: Adequate price, High performance, Easy to apply. Cons: Less efficient than the above pastes. You cannot miss out this mighty thermal paste. Although it has become old and people are joking about its retirement, it is still a very popular thermal compound, even among enthusiasts themselves (traditional enthusiasts). It’s a conventional paste with a thermal conductivity of 8.5 W/mk. Cons: Less efficient than the top 3 pastes. Note that we no longer recommend Noctua thermal paste as we think the above pastes are better. You just wonder sometimes how some products are still living in the market although they are old enough to retire. This is the case with this conventional thermal paste that still proves itself as a high-quality CPU compound that won’t disappoint its fans. It has the lowest thermal conductivity 4.5 W/mk but with a great performance though. Cons: Low thermal conductivity, and less efficient than the top 3 winners. PlayStation 4 has its own processor that generates high temperatures during the gaming sessions. By time you’ll have to maintain your PS4 CPU cooling system by replacing the old and wasted standard thermal paste applied by the manufacturer to a new effective one to ensure that your PS4 processor can find better outlets for the generated heat which will help consequently have a better and smoother gaming experience. The issue with PS4 is identical to that with PC. Like you would apply a thermal compound to the CPU heat sink in PC, you do that similarly in PS4. You may also change the default cooling fan of your PS4 for a better heat dissipation. What is a thermal paste? In general, a thermal paste is a cheap product, whatever price level it reaches, it remains cheap and affordable for most users. The most expensive thermal compound in our list is about only $15, and it’s not a real big loss of money, especially when you get a high performance that pleases you for a long time. That said, the low cost of producing thermal compounds and the extremely escalating demands persuaded many manufacturers to release their own brand, and now you can understand why the market is crowded with a big number of different types of thermal paste. For day to day users, any of these compounds would do the job nicely, but when you’re getting into the world of overclocking, benchmarking and water cooling, then you’ll want to invest in something suitable. Spending hundred on a CPU, motherboard, GPU, water cooling and more isn’t exactly cheap, but spending $10-15 on a good thermal paste isn’t going to increase your budget by a significant percentage and will have real-world benefits in the long run. Using a thermal adhesive is more recommended than using a thermal pad or a thermal tape. Moreover, Silicon thermal grease gives very good results, but liquid metal cpu paste is the top when it come to heat conductivity. If you want to reapply thermal paste on your computer CPU, then you have to remove the old thermal paste from the surface of the CPU, and indeed it is way too easy to do so. You just need to be careful on how to do it and follow the right instructions in this regard. First, lift the CPU heatsink and separate it from the CPU surface, then the old material of thermal paste will appear. Next, use a thermal paste remover/cleaner and wipe the CPU surface with a piece of rag. Let it dry and you’ll be done. To obtain the top-notch CPU thermal paste for your system we have made our list here of the top performer compounds out there to make it easy for you to end your pursuit. Any paste here will work great for any system, except the liquid metal compound as it needs extra care when applying it to your CPU, so we don’t advise of it unless you are professional and careful enough. Moreover, this thermal paste doesn’t suit aluminum heat-sinks, while it works great with copper and nickel. Liquid metal products (like Thermal Grizzly Conductonaut) clearly have the highest performance on the market. If you plan to delid your CPU or want to have the best possible temperature you should get a liquid metal product. However you have to deal with an electrically conductive product and it’s usually very hard to remove. Also keep in mind that it must not be used with any aluminium parts. For this reason I prefer normal pastes because they can be used with all kind of coolers, are not electrically conductive and are easy to remove. The liquid cooling system is very powerful and it’s aimed at enthusiast and power users. If you have decided to go for such a cooling system, try first Cooler Master air coolers as they make a good airflow outside the CPU. Just don’t use an Aluminum heatsink with it. If you’re getting a thermal paste for your GPU (Graphics card), you may want to visit this page. Also, if your processor is Intel Core i7 7700k, try reading this article before making up your mind. The following CPUs are supposed to have no issue at all with the thermal pastes listed above. Just make sure to pick the right heat-sink for your CPU, and everything should go well. A high-end CPU thermal paste is an essential element in any serious cooling system built for high-end computers that have to often deal with heavy workloads under tough processing environment. Therefore, if you are an enthusiast whose main concern is the performance of your CPU, then don’t pick other than a quality thermal paste. Tagged best thermal compound, cpu paste, cpu thermal paste, heatsink compound. « How Important Thermal Paste is to CPU?